EE is ready to beam machine to machine (M2M) communication into the stratosphere through the world's first 4G-enabled platform. 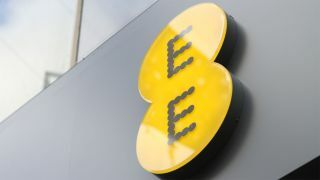 The UK-based cellular carrier has launched EE Connect with the intention of providing a high-speed network over which the smart devices of the future can communicate with a real focus on the huge growth in the Internet of Things (IoT) sector. EE projects that over four million machines will be communicating with each other over its network by 2017. This is double the amount presently doing so over its 2G and 3G network, illustrating the dire need for bandwidth expansion. That's before you consider the higher bandwidth requirements that new use cases will call for in the future, such as remote video distribution, and in-car diagnostics and entertainment. Customers that decide to jump aboard EE Connect will use the EE Control Centre to remotely monitor and manage devices to ensure the maximum level of efficiency. It can also help to remotely diagnose and repair issues with machines that are out there in the field. M2M communication, which is defined as any type of communication between two different devices, is becoming even more important with the huge influx of IoT, or simply "smart", devices and a number of sectors are investing heavily in it. EE's latest raft of investment is all part of its pledge to invest some £1.5 billion (around $2.3 billion, or AU$3.2 billion) in its network over the next three years. EE Connect is available to all EE business and public sector customers from today and there are trial packs available on request.